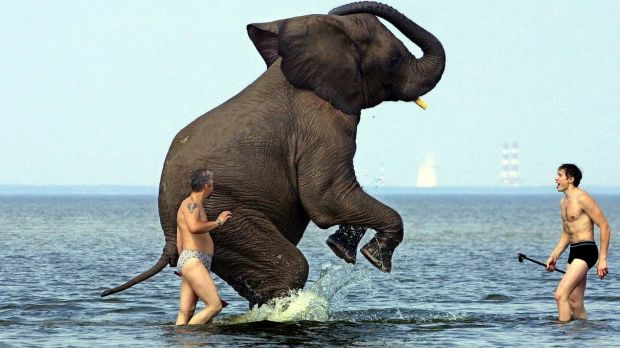 I rode an elephant in Thailand a decade ago. It was part of a trip with Intrepid, well regarded for its "responsible travel" approach, yet the way the animal was repeatedly struck on the head with a heavy metal hook made me uneasy. 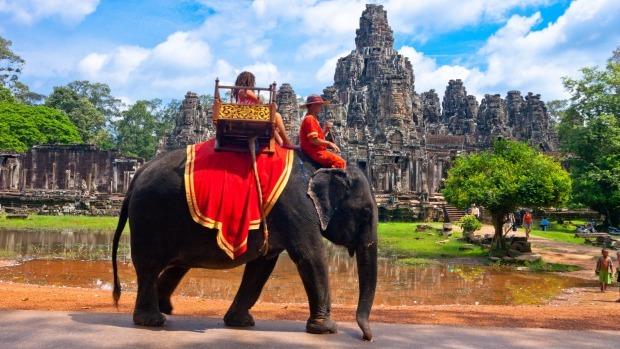 When Intrepid became one of the first tourism businesses to remove elephant rides from their offerings in 2014, the extent of the cruelty behind such elephant experiences became apparent. A study commissioned by the company revealed that elephants were taken from the wild as babies, inhumanely broken in, trained, confined and coerced so they would behave in unnatural ways, day in, day out. According to poll results just released by World Animal Protection (WAP), 35 per cent of the Australians surveyed had visited an overseas venue where wild animals were captive and/or performed over the past three years. For Australian venues, it was 54 per cent. There's a "wildlife tourism paradox", according to the organisation's Australian campaign manager, Ben Pearson. "People who love wild animals will go to these venues ... to see them perform, to ride them, get in a pool with a dolphin or have a selfie with a tiger, but what they don't realise is that those animals ... are being treated very cruelly." Consider the ethics of these seven kinds of wildlife tourism. According to a 2017 WAP report, of the 2923 elephants in 220 Asian tourist venues assessed, three-quarters lived in unacceptable conditions. This included being chained day and night, often with chains of less than three metres. Shows requiring elephants to perform tricks like standing on their hind legs hide cruel training and punishment, but so do seemingly benign activities like painting – a delicate, unnatural task for these large animals. Even being bathed by tourists is stressful. Against their instincts, they are surrounded, touched and splashed in the face, probably repeatedly each day. Some gloss has worn off tiger selfies recently as guys on Tinder posing with Tigger were shamed, and Thailand's controversial Tiger Temple (pictured above) shut down. It's reportedly reopening as a zoo, however, and numerous other tiger parks continue operating around the country, attracting bus loads of tourists who pat, prod and take photos with juveniles and adults. There's also an emerging trend of petting and walking with captive lions in several African nations. Such interaction with humans is unnatural for apex predators, so various methods are used to keep things relatively safe. Cubs are taken from their mothers after a few weeks and hand-reared to subdue their instincts. They are often confined in cages or pens when not on show, and tiger parks have also been accused of routinely sedating animals. It's difficult to resist our natural urge to cuddle cute little creatures. Now there's the added temptation of selfies for social-media success, holding animals is a booming tourism trend. In countries with little or no regulation, baby animals are often taken from the wild, including threatened species. Whatever their origin, they are subjected to some form of cruelty, from continuous daily handling to beatings. According to WAP, the Amazon's baby sloth selfie props live for only six months, but up to 30 years in the wild. Wildlife close encounters in Australia usually severely limit animals' direct contact with visitors. Cuddling koalas remains legal in Queensland, South Australia and Western Australia, however. 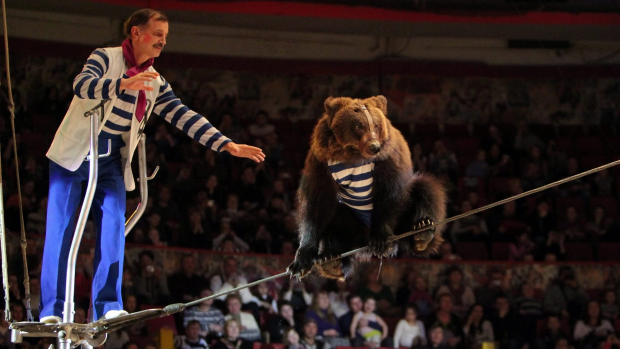 While circuses featuring wild animals are now rare in many countries, including Australia, they are thriving in places such as Russia, and other entertainment like dancing monkeys and dolphin shows are also commonplace. Making wild animals perform unnatural tricks requires some kind of coercion, and they are usually confined in small spaces when not training or performing. Even more questionable is forcing animals to fight as entertainment, including orangutan kick-boxing, and crocodile and alligator wrestling. Dolphin shows have been losing favour, especially since 2009 documentary The Cove revealed that some performers are taken from the wild in shocking ways, but regardless of their origin these captive mammals live extremely unnatural lives. 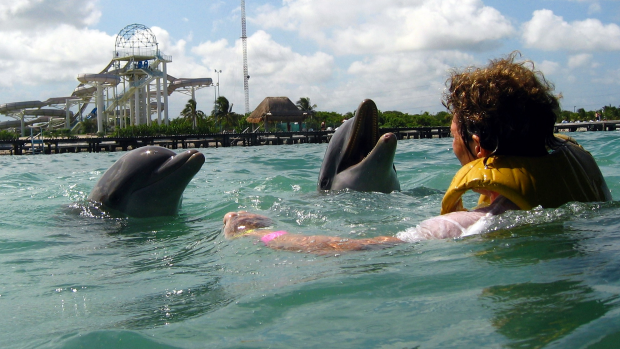 That includes dolphins swimming with humans in shallow pools (or small, often polluted sea pens), towing visitors by their fins, giving kisses and being repeatedly touched. Trained through the denial of food, these seemingly smiley-faced creatures spend much of their time in crowded, chemically treated holding tanks. Tourists may avoid ivory, knowing its illegal trade means elephants are often killed for their tusks alone. 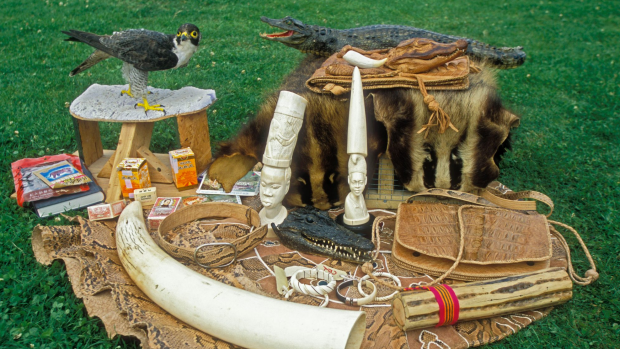 However, countless other sorts of souvenirs are made from wild-animal parts, such as fur, teeth, horns, skins, feathers and tortoiseshell, and it's often impossible to know whether they were sourced ethically. Many animals, including endangered species, are inhumanely trapped, hunted, farmed and slaughtered for souvenirs. Some are harvested on an industrial scale then sold onto local craftspeople, giving tourists the impression they are buying sustainable products. So, far from having been collected on the beach, that seashell is probably one of millions scooped from the deep – with living mollusc still inside – solely for decoration. From kangaroos to frogs legs, wild animals are eaten everywhere, but in many places the way they are harvested is unrestricted or poorly policed. So while it's good to try local foods, consider that inhumane processes may be behind them, and the critter on your plate could be endangered. 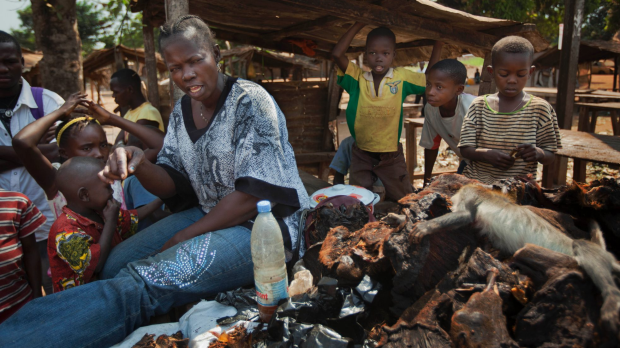 "Bushmeat'' is a common term for the flesh of wild land animals in tropical regions, especially Africa, where eating species such as gorillas has long exceeded sustainable subsistence. In Asia, sharks are thrown back into the sea after their fins are removed for shark fin soup, and demand for Chinese medicines with wild-animal ingredients is rising. Among the most popular is tiger wine, a purported aphrodisiac made using tiger bones. So what wildlife tourism experiences are ethical? The best option is to see animals in their natural habitat, from polar bears in Canada to big cats in Kenya. Or visit genuine wildlife reserves and sanctuaries, where animals can roam freely and are rescued rather than bred in captivity. Restricted movement. Obvious signs are short, tight chains and ropes, but also look for animals in confined spaces, including cages, when not working. Inadequate shelter. Are they exposed to the elements, including hot sun? Inadequate food or water. Do they seem thirsty or malnourished? Do they have access to clean water? Is it natural behaviour? If an animal wouldn't do this in the wild, coercion is involved. Handlers beating, whipping or using other harsh physical coercion. Indications of distress, exhaustion, injury, disease or sedation. Filed or pulled teeth and claws. Frequent exposure to people, noise and flash photography. Many young animals. This is an indication of captive breeding for profit rather than conservation, or that animals are disposed of when no longer cute or manageable. Do some research. Does the venue or tour operator have an animal welfare policy? Are there any reviews online suggesting animal cruelty?